This compact dispenser is excellent value and popular for smaller washrooms. 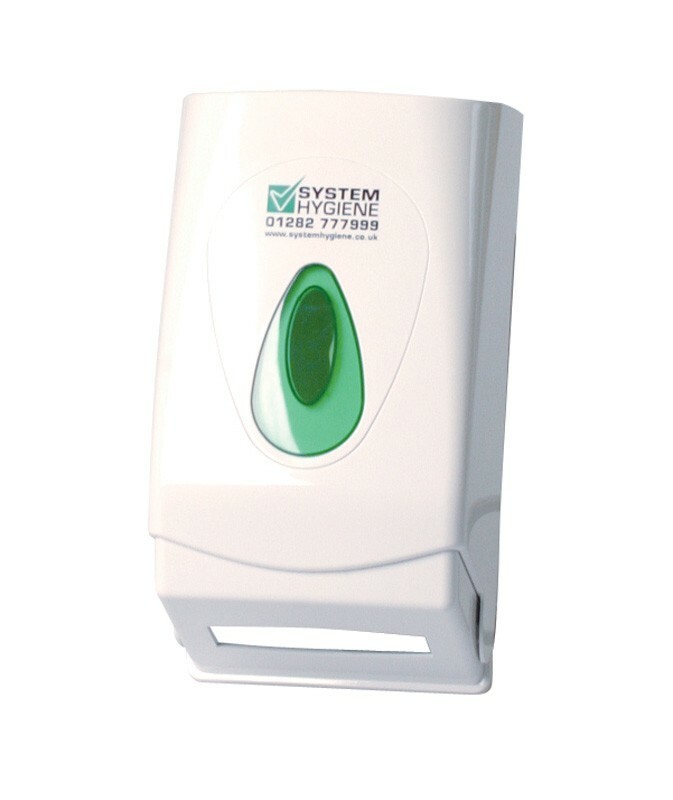 The sturdy design makes this dispenser just as durable as the bigger 'roll-holder' models, but it fits much smaller spaces. A good choice for small offices, restaurants, nurseries, schools and other workplaces. Designed to be very quick and easy to refill, the model also has a 'refill window' for at-a-glace checking of tissue or hand towel levels. Suits a wide variety of toilet tissue brands, and fits multiflat or bulk-pack papers, as well as childrens interleaved hand towels. H 275mm x W 150mm x D 130mm. Ideal for workplaces or commerical washrooms that experience light use. Fits easy-to-store multiflat, bulk pack papers and childrens hand towels. Easy to fit, simple to restock and effortless to maintain. Simple to restock, and the internal mechanism is very hard-wearing and easy to maintain. A good choice for smaller washrooms and nurseries.